The Gardens of Castle Rock | Helpful Tips for Incorporating Your Dog into Your Wedding Day! 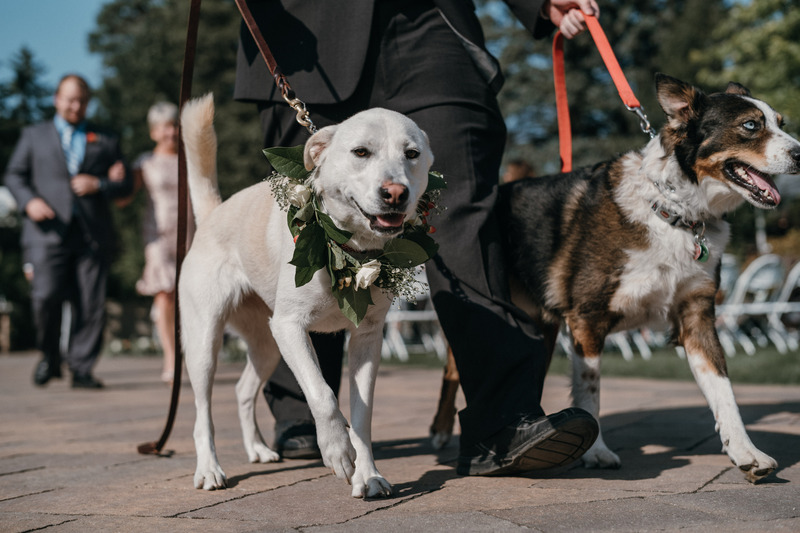 For many couples, deciding whether to incorporate their four-legged friend into their wedding isn’t even a question – it’s a must. These furry friends have a way of wiggling themselves into our hearts and carving out a significant role in our personal lives and in our relationships. Naturally then, when it comes to what we may look back on as the single most important day of our lives, many of us want Fido to be a part of it. 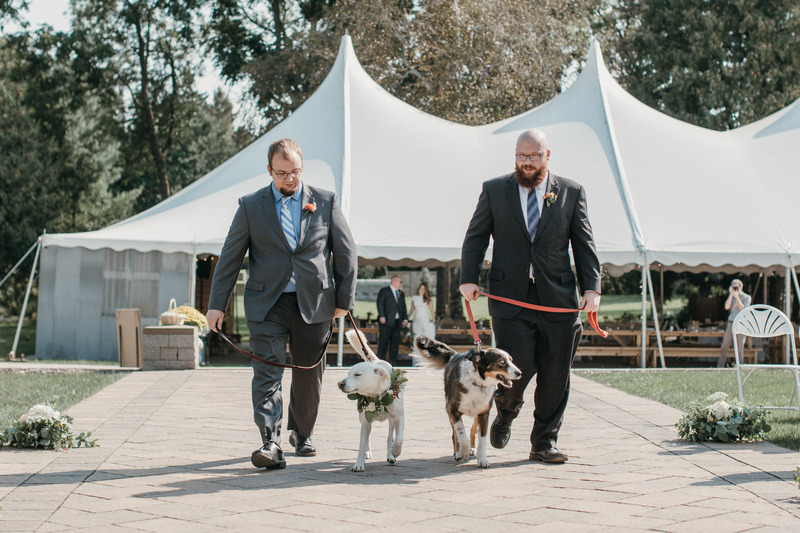 Here is a list of important things to consider when adding a pup to your wedding! 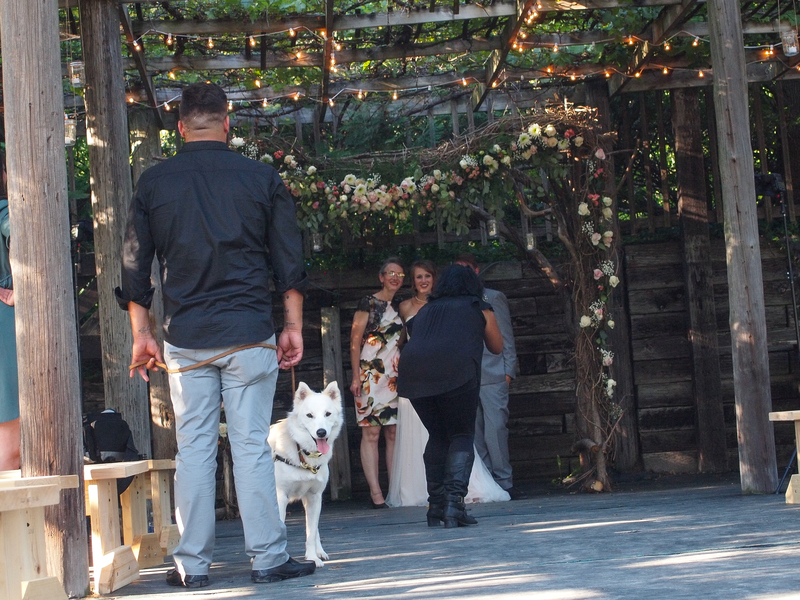 ● When choosing your venue, ask upfront about their pet policy. Oftentimes, when a venue is dog-friendly they require proof of immunizations, licensing etc. 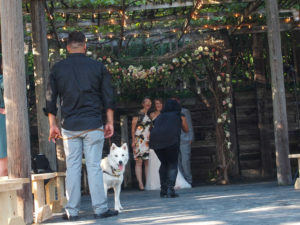 prior to the event while other venues don’t allow dogs for health or legal reasons. ● Consider your bridal party and your guests. Does anyone have severe allergies to dogs or perhaps a dog phobia? It’s always a good idea to be sensitive to those present and give people a heads up in the invitation that your four-legged friend will be a part of the festivities. ● Designate someone as your pet-handler for the day. 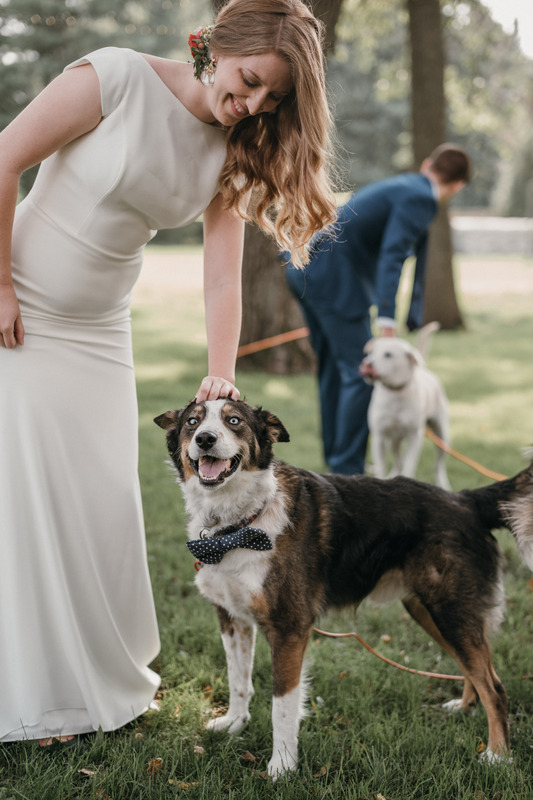 It will work best to choose someone who enjoys dogs and is not in the bridal party, so they can give your pooch all they attention they require. Responsibilities for your handler may include providing food, water, treats for bribery and walks as needed! Vigilance is also required on the part of your handler to keep Fido from relieving himself on any plants and to keep him out of the chocolate! It’s also important to familiarize your handler with basic commands that your dog is accustomed to. Isn’t this just the best day ever!! ● Consider your dog’s temperament. How does she handle a long day? Does she do well with strangers and commotion? It’s possible that after this analysis you may choose to incorporate your pooch in more subtle ways as opposed to giving her a front and center role. Be sure to choose a role that is well-suited for your pup. ● Thinking about designating your dog as the ring bearer? 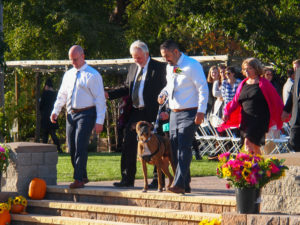 It may be wise to have your pet-handler walk him down the aisle on a short leash as opposed to letting him run down the aisle on his own – unless you’re ok with a little unpredictability! ● Practice makes perfect! Practice your dog’s role over and over until it’s familiar for both of you. This will relieve much stress on your big day. ● If you decide to include your pup, make sure your flowers and plants aren’t toxic for dogs! Flower girl and ring bearer… precious. ● Ask your pet-handler to take your pup on a pre-ceremony walk to avoid any “situations” during ceremony time. ● If your pup is dressed up for the occasion, make sure it’s a simple accessory or outfit that’s comfortable. You don’t want him tugging and chewing at his attire! The dogs point of view… yes that’s a GoPro on my back! ● Adding your pup’s picture to wedding announcements, invites or reception table cards or including dog-centric wedding favors for a paw-sitively special tribute to your favorite four-legged friend. 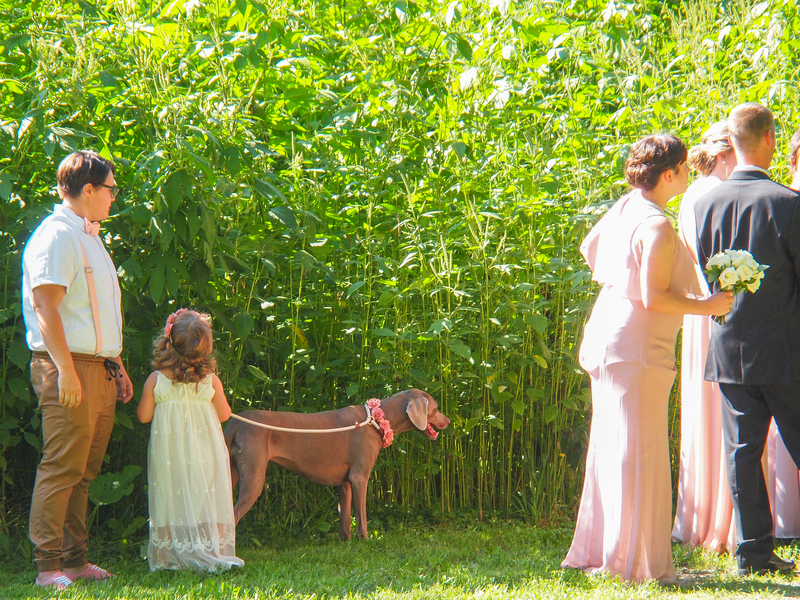 Thank you to Eric Lundgren Photography for sharing some great photos… follow the link see all of Allison & Elliot’s wedding day photos with their beautiful dogs at The Gardens.